Consumers expect positioning on the smartphones to work as well indoors as it does outdoors. Cell-ID positioning using network cell towers works indoors, but is not very accurate, typically 300 metres to a kilometre or more. Wi-Fi positioning using existing implementations works in many indoor locations, but the accuracy varies greatly from a few tens of meters outside of the building to a hundred meters or more inside the building. This is because the Wi-Fi transmitters are surveyed using vehicles tracking GNSS signals outdoors, but the indoor surveying is limited. Wi-Fi positioning using solutions based on signal “fingerprinting” are expensive and labour intensive because each entire venue has to be surveyed manually. This is not a practical solution for ubiquitous indoor coverage. sensewhere technology solves the indoor positioning problem globally using the power of the crowd of mobile users. We have developed innovative hybrid positioning technology in a suite of distributed solutions. Our goal is to bring the GPS experience indoors and make accurate positioning available everywhere. Below are some of the key components of the sensewhere system. 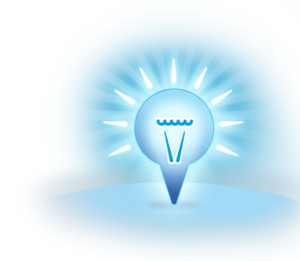 The concept of crowdsourcing is not new and crowdsourcing has been used to determine the location of Wi-Fi transmitters. However, current crowdsourcing efforts rely on GPS for positioning and typically the indoor transmitter locations are not well determined. The sensewhere patented technology allows the power of the crowd to be used to extend coverage to indoor locations. The system automatically learns the location of indoor wireless transmitters and self-corrects when those transmitters are moved or replaced. Throughout this process, all user data is obfuscated for complete privacy. 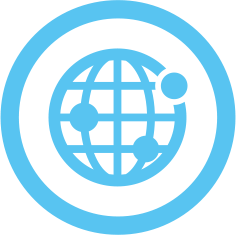 The Wi-Fi location engine is the core of the sensewhere distributed solution. Mobile devices receive signals from existing Wi-Fi infrastructure (over 2 billion Wi-Fi Access Point (WAP) transmitters worldwide). These signals are sent to the sensewhere server for learning and positioning. Position is determined by triangulation from matching Wi-Fi signals that have been learned and located previously. sensewhere’s proprietary and patented positioning system uses indoor RF signals including Wi-Fi and Bluetooth to perform positioning in mobile devices. GNSS and the motion sensors on the phone are used to track devices as they enter a building. During this time, the indoor signals are monitored and information is sent to the sensewhere servers. The server captures this information and combines it with the data learned from many other users to determine the best estimate of each indoor transmitter. This automatic crowdsourcing method results in a comprehensive database of transmitters. The database is continually learning and improving as new transmitters are installed or moved. 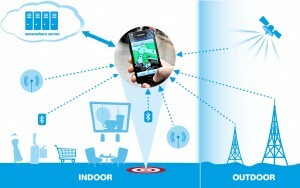 The sensewhere system uses a patented hybrid approach to deliver a location fix using measurements from the mobile device and the transmitter database which significantly improves the coverage and accuracy of location services in indoor areas and other urban areas where GNSS signals are blocked. This method of crowdsourcing requires no manual surveying or additional equipment installations to enable the system to work indoors. As venues change, new stores open or indoor transmitters are moved or installed, sensewhere’s system automatically updates its database to build virtual 3D models of pathways used –in real-time, and with precision accuracy. The sensewhere system delivers an accuracy of 5-10 metres in most indoor locations after sufficient crowdsourcing has occurred. Positioning using Bluetooth Low Energy (BLE) beacons is similar to Wi-Fi positioning and has the potential to be more accurate in venues where such beacons are deployed. The sensewhere solution does not require calibration and can automatically discover and use various existing or newly installed BLE beacons such as iBeacon or Eddystone. sensewhere’s proprietary technology utilizes data provided by the motion sensors of the mobile devices including compass, gyroscope, accelerometer, and barometer and combines it with measurements made from wireless transmitters (including Wi-Fi and BLE) and data from the crowdsourced location database in the cloud to accurately determine position indoors. The sensor fusion improves accuracy and smooths the position output in real time. In addition, the sensewhere system also continuously post-processes sensor data to better determine the location of Wi-Fi and BLE transmitters indoors. This hybrid approach leverages existing hardware in phones and buildings to significantly improve the coverage and accuracy of location services in urban and indoor areas. Indoor maps are a key component for search, tracking, and navigation applications to allow the user to visualize where they are and what is nearby. The sensewhere solution provides position information that can be used with maps from any source. Various map solutions have been used in existing sensewhere applications.